Families hardly cook nowadays during CNY. Mainly cuz most old folks are no longer capable & the younger groups being tasked on to do the deed are avoiding the hassle of cooking large servings for everyone, especially those who lack experience. None in my family cooked on the 1st day for the past 2 years or so as we've been patronising Chinese restaurants, just like everyone else. 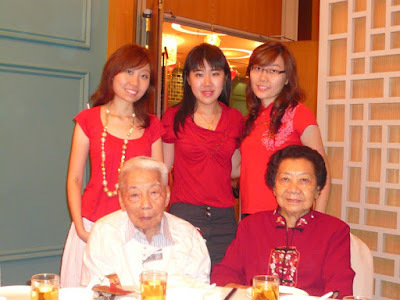 This year - like last year - we had our 1st day dinner at Imperial Garden, PJ. Don't be surprised by the atypical CNY set menu's poor quality cuz they're mostly prepared in advance & in large quantities. Honestly, I didn't enjoy any of the dishes cuz almost all the dishes turned cold even before it was served. Anyways, any recall of the incident when my Grandpa was admitted for cerebral haemorrhage just weeks before CNY? It was a horrifying experience & there wasn't any CNY mood in the air. Thank God the nightmare is over & he's back to usher the new year with us. What a frail old man he has become~ =( Cuz he refuses to eat different food. Oh well...what else can we do. 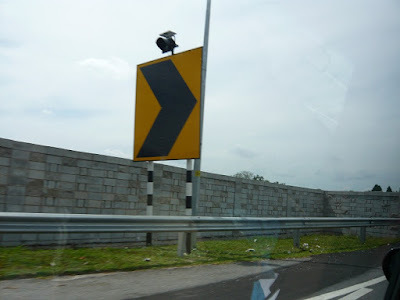 *sighs* Btw, we noticed this rather huge signboard at the Ipoh Interchange. I missed out a few earlier signboards as they looked even more hilarious cuz it looks like a typography art. I'm assuming many vehicles might've drove past by accident & missing the turn to Ipoh. Hence, the enormous signboard to ensure no one misses it again! 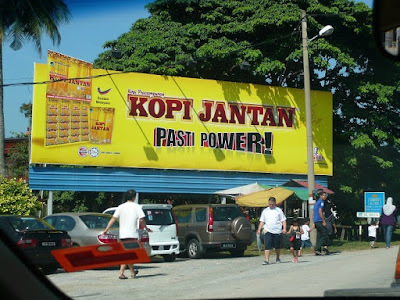 Not to forget a rather bizarre product - a drink supplement to increase male virility~ -.-" We saw this billboard at a town while on the way to our relatives' house. My CNY weekend pretty quickly without realising it. It was a very short break before I start my new job. There're bound to be more reunion dinners & gambling sessions with ex-colleagues, friends & family alike after this. I'll be gambling but not with my own money. It would be WL's money instead. =P Happy CNY peeps & here's hoping for a prosperous year ahead!